Dreamland Trust have commented in response to the ‘independent’ TDC commissioned report written by Chris Miele. This Dreamland document will not be presented to the Planning Committee on Weds October 19th. Dr Miele’s report, however, will. This Dreamland Trust document has not been published by TDC along with other relevant documents, such as Miele’s report, for information on UK Planning. We are informed by TDC that Dr Miele’s report is only an Agenda item and as such, public speaking or comment is not, according to the Council’s constitution, allowed. Is the public and the Planning Committee to be denied access to the opinion of the expertise of the Dreamland Trust? Given the importance Dreamland is to Margate and it’s future? Here is the response from Dreamland Trust to Dr Miele’s report sent to TDC 12th October 2011. We understand that members are being updated on the application to build a 7,565 square metre superstore on top of the existing multi-storey Arlington car park in light of the recent upgrading of the listing status of the Scenic Railway. We are writing to formally object to the proposed plans on the grounds of the impact the development will have on the setting of Dreamland site’s suite of heritage assets: the recently upgraded Grade II* listed Scenic Railway, the Grade II* Cinema building, and the Grade II listed menagerie cages and we are also concerned about the potential harm to the fabric of the menagerie cages. The proposed superstore is too big for the site. The metal-clad back wall of the superstore will dwarf Dreamland’s heritage assets, providing an overbearing and inappropriate backdrop to the group of listed structures and the landscaped amusement park that is being rebuilt around them. We also question Dr Chris Miele’s report, Expert opinion on the proposed redevelopment of Arlington House and the effect on Heritage Assets, commissioned by Thanet District Council and (we understand) funded by the developers. We consider Dr Miele’s report to be biased and factually inaccurate, and we question why the Council described the report in a recent press release as “independent”. For this report to be truly independent there needs to be evidence that there are no conflicts of interest. His reference to “the application site” here should be to the Arlington site, but the following sentence states “their exclusion from it”, which suggests he is actually referring to the listed structures. If that is the case (and really he needs to explain which he is referring to), there can be no justification for stating that it is “noteworthy” that the structures are outside the conservation area and that the “degraded” setting may have contributed to it, unless he is laying the foundations for a report that is going to be diminishing their importance. In addition, he should have been aware that the conservation area was defined in 1997 when Dreamland was operating. He also has not considered the potential for damage to the animal enclosures anywhere in his report. At first glance, he may have excluded this thinking that it had no relationship to the upgrading of the Scenic Railway. But damage to the enclosures, that could result in their partial or complete loss or damage, would undermine the Scenic Railway due to its strong connection to the enclosures (see 3.30 for his understanding of these functional and historic relationships). The 18TH-century Gothick wall supporting the menagerie cages and cottage abutting the Arlington car park are fragile structures and building works may jeopardise their integrity. The Prince’s Regeneration Trust’s Conservation Management Plan (2010) describes the wall as being in a very precarious condition; the cages in an unstable state and currently substantially held up by temporary propping. The lintels appear to have failed completely in the smaller cages with the triple arch head to the largest cage being dependent on propping. In 3.31 Dr Miele incorrectly suggests that English Heritage did not give great weight to the setting of the Scenic Railway because it is degraded and no longer functional (in fact, he states its setting is “lost”). He is obviously not aware of the fact that the park is to be rebuilt and that English Heritage has been involved in this project so is fully aware of it. This point significantly undermines his report and we would ask that he review his statement in the knowledge that the functional/historic setting of the Scenic Railway is not lost. This theme runs all the way through the report and we believe materially affects his overall conclusions. He also mixes up his ‘wests’ and his ‘easts’, suggesting a lack of understanding of the site’s context (e.g. 4.18, 4.21). His conclusions on rarity in 4.29 are completely wrong, again demonstrating that he was not properly briefed on our plans and seemingly unaware that English Heritage has been closely involved. 4.21 is wrong. The land to the east of the Scenic was always part and parcel of the Dreamland land holding and these views should be treated with equal importance (albeit part of it was leased to Margate FC for a few years at the time that the Scenic Railway was erected). His second point in 4.22 is technically correct, but again does not take account of the development that will reinstate the Scenic’s original setting. Regarding his third point, the Scenic’s setting will be mediated by landscape in the future, but that landscape would not disguise the overbearing appearance of the rear of the shed. In 4.23 he admits he has not seen our landscape proposals, but he could have seen them on the Dreamland Margate website (www.dreamlandmargate.com) and in the Sea Change documentation. The Council should also have made him aware of this when he was briefed. 4.31 to 4.33 is very weak and almost doesn’t consider the effects of the new building at all, other than saying it is not actually on the site. It is in this section of his analysis that we would have expected to see some acknowledgement of impact. Throughout the next few paragraphs he again relies continuously on the fact that the setting has been compromised (4.38 is yet another example of this). In 5.2, we are not sure how his report allows him to conclude that the new building will not intrude on the aesthetic appreciation of the structure. Dr Miele appears to completely misunderstand the aesthetics of the Scenic Railway. He refers to the technical and engineering aesthetic of the Scenic Railway as seen from an observer’s perspective. He does not discuss the aesthetics of riding the Scenic Railway from a passenger’s perspective and that is the point – the roller coaster is called the Scenic Railway because of the vista from the train, which is the unique selling point of the ride. The scenery around the Scenic Railway is a fundamental part of the ride. Our Stage 2 application to the Heritage Lottery Fund describes the full restoration the Scenic Railway to its former working glory. If we are going to invite visitors to pay to ride the fully restored Scenic Railway to its former glory then we will be peddling a lie. Additionally, Thanet District Council’s application to the DCMS Sea Change fund for the reinstatement of Dreamland was granted with the condition that landscape architects led the project. Landscape is at the heart of the Dreamland project. It is abundantly clear that the proposed large-scale superstore will have an adverse impact on the overall aesthetic of the park, its landscaped gardens and picnic areas. It puts at risk the Grade II listed menagerie cages, gothick wall and cottage and compromises the setting of the Grade II* Scenic Railway. This development will ultimately degrade the visitor experience. We would also like to point out that it is the local authority’s stated aim to improve the setting of Dreamland’s listed structures and allowing this structure on the boundary of the site is directly contradictory to that aim. Thanet District Council have issued a first press release since they were put under legal notice that to make a decision on the current planning application without re-consulting would be unlawful. Their statement is somewhat ambiguous. It makes no mention of whether the material change affecting the site will be also put to consultation. 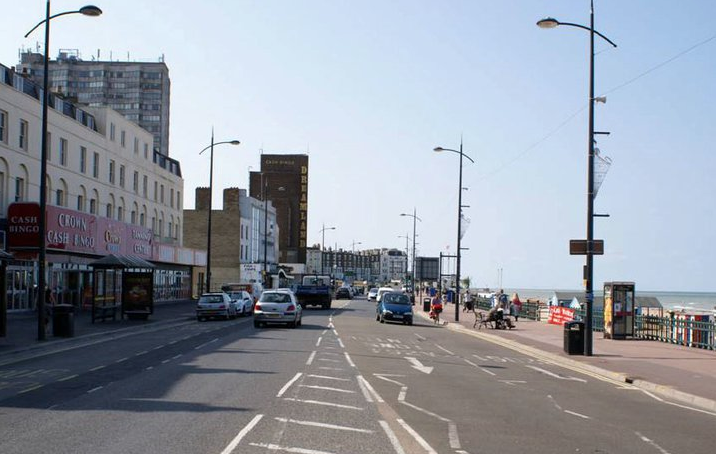 “The upgraded listing of the Scenic Railway will be taken into account in the decision making process on the application for Arlington House in Margate, that’s the promise from Thanet District Council. The Scenic Railway’s listed status was upgraded in July from Grade II to Grade II*, putting it into the top 6% most important listed buildings in the country. The council’s position on this is set out in writing by the council’s Corporate and Regulatory Services Manager, Harvey Patterson. He confirms that the council will not be issuing a decision notice on the Arlington application, until the issue of the re-listing of the Scenic Railway is taken into account. However, the council has yet to decide whether a report will be made to the Planning Committee. The plans to build a new retail superstore next to Arlington House were passed back to Thanet District Council by the government in July. The application had been supported by the council’s Planning Committee in June and it is now being looked at by officers, who are putting in place a Section 106 agreement. With today’s upgrade for Dreamland’s Scenic Railway from Grade II to Grade II*, a rating that is reserved for the top 6% of listed structures in the UK, the Arlington proposal is now arguably of national importance. The development of the site will directly affect sites that are on the national register and two of which are Grade II*. The Scenic Railway and The Dreamland Cinema. The Arlington site is directly affects Dreamland. The side of the proposed superstore faces Dreamland and the listed menagerie alongside. One more reason why, now this application has come back to TDC for a decision to ask that this matter be considered. 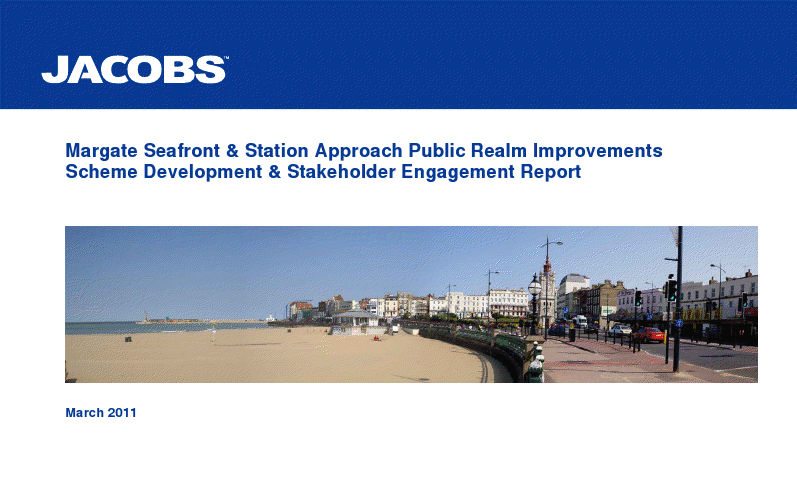 TDC’s Press Release also outlines just how important these seafront locations are to a town like Margate. 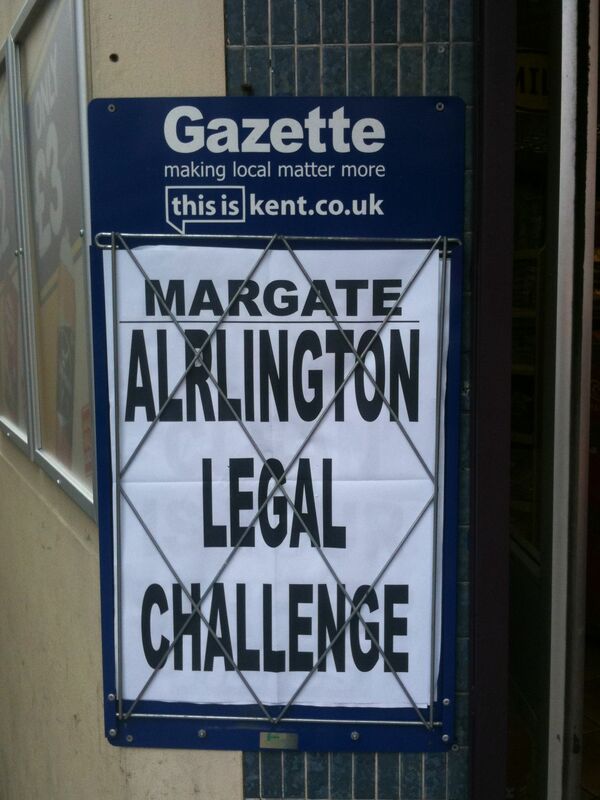 Yet, so important they decided to allow the UK’s first seafront superstore to wreck any future enjoyment of it. Margate’s Scenic Railway, the iconic centrepiece of one of Britain’s best loved amusement parks, Dreamland, has had its listing upgraded to Grade II*, putting it into the top 6% most important listed buildings in the country. The move was made by English Heritage, following an application from Thanet District Council. English Heritage describes the Scenic Railway as being of “more than special historic importance”, saying that its “special interest is clear and its survival is remarkable”. Scenic railways are distinct from other types of roller coaster because they have a brakeman who rides with the train and controls its speed. The only other example of this type of ride in Britain is at Great Yarmouth and dates from 1932, but is much altered. 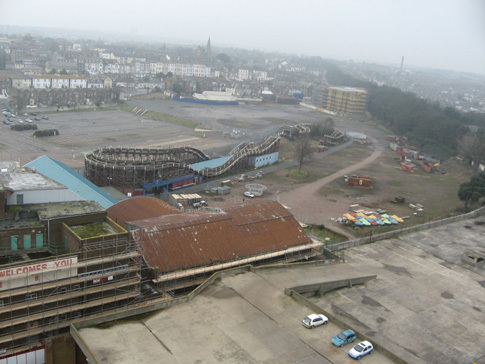 The Dreamland Trust is building the world’s first amusement park of thrilling historic rides at Dreamland Margate and aims to preserve this important part of British popular culture and amusement park heritage. Restoration of the Scenic Railway will be at the heart of this multi-million pound project funded by the Heritage Lottery Fund, Sea Change and Thanet District Council. It forms part of Margate’s regeneration programme spearheaded earlier this year with the opening of the Turner Contemporary gallery, which has already attracted in excess of 100,000 visitors to the town in just three months. The Dreamland site is already home to two other listed structures, the Grade II* Cinema and Grade II listed menagerie cages. English Heritage cites this as a further reason for the upgrade to the Scenic Railway’s listing. Dreamland Margate is due to open to the public in 2013. 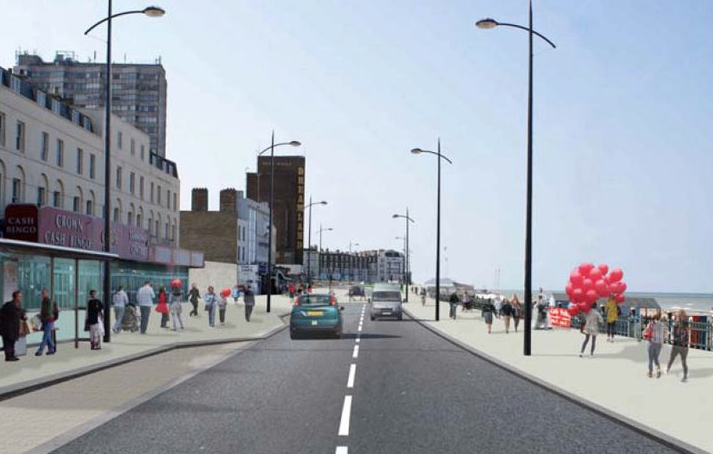 At the moment, Margate seafront is a pretty hostile and uninspiring environment for pedestrians. The public space is dominated by a wide road that forms a barrier between businesses and the beach. This is the route visitors walk along from the station to the old town and the Turner Contemporary. 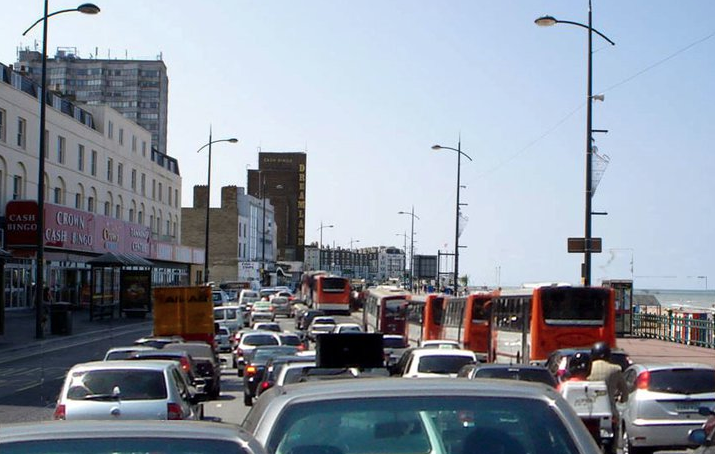 If the proposal for a Tesco superstore the size of 2 football pitches goes ahead, there will be a peak of 17,000 extra vehicle movements on the seafront on weekends. That is in addition to any traffic for Dreamland and Turner Contemporary. Sadly, not true. 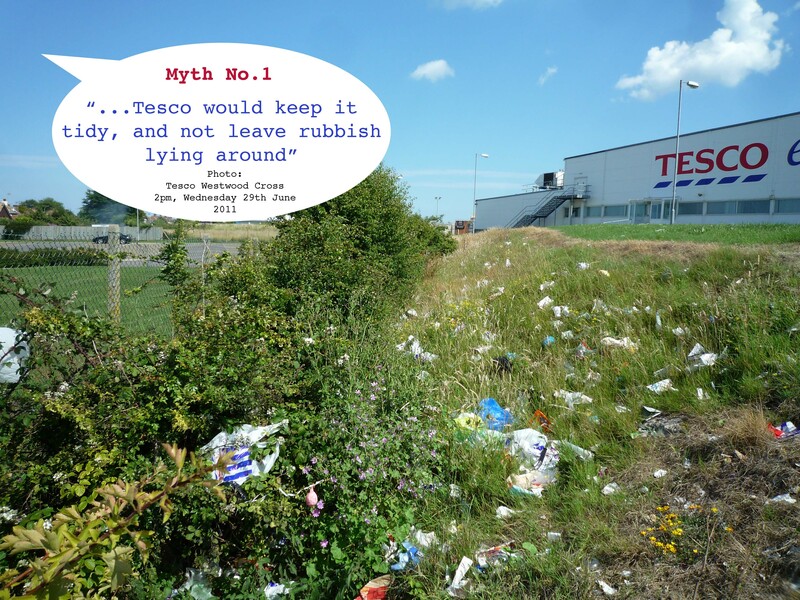 At Tesco Westwood Cross, where the ‘landscaping’ is strewn with Tesco packaging, fag ends and plastic bags.